A. Jaffe's wonderfully unique eternity band with non-stop dazzle features gorgeous oval cut diamonds placed side by side for endless sparkle and brilliance. With an impressive 7.20CT TW in diamond radiance, this extraordinary A. Jaffe ring is sure to captivate whether you are dancing in candlelight or sipping champagne up on deck. 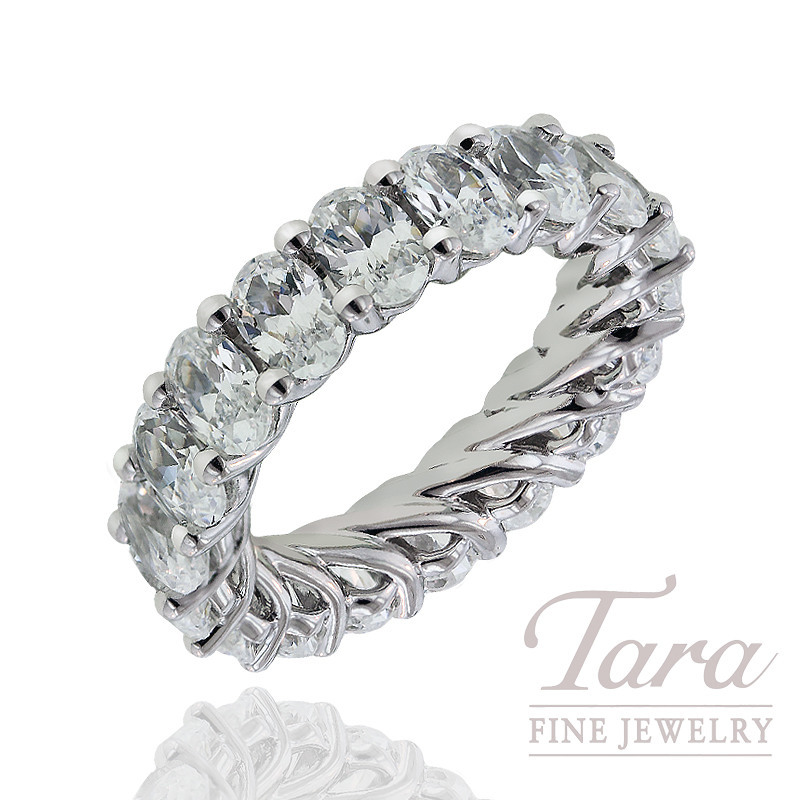 Come to Tara Fine Jewelry Company to see this amazing diamond band and choose your preference of 14K or 18K white or yellow gold, or even platinum. You will love the beautiful showroom located in Buford near the Mall of Georgia where the showcases are filled with designer pieces from A. Jaffe, as well as an extensive selection of Swiss watches by Rolex, Omega, Breitling and Tag Heuer. Dedicated to exceptional service, selection and quality, Tara Fine Jewelry Company is a family owned jeweler that has proudly served the Atlanta area for over 28 years.